Timing is everything when it comes to social media and publishing your posts when people are around to see them is the name of the game – but how do you know when is the best time to post for your target audience? The focus for posting your messages is to consider when your audience is online and using each social media platform. Posting when you know your audience is most likely online allows for you to boost opportunities for engagement, drive traffic to your pages and, hopefully, gain quality followers and customers for your product or service. The age-old question remains – when is the best time to post on social media? The answer isn’t cut and dry, and depends on the particular audience you’re targeting, your goals and the content you’re sharing. These days it’s more about finding out about each particular network to understand how your audience is using it, rather than enforcing a blanket rule for posting across your social media channels. We’ve pulled together some of the latest research to provide some tips for the best time to post on social media so you can get more engagement and more quality followers. 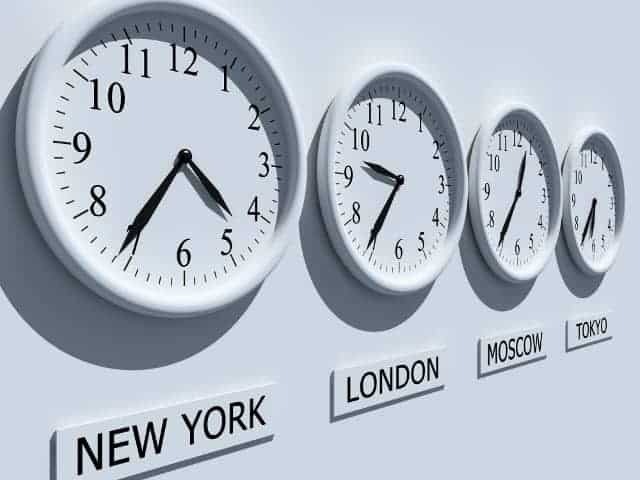 This point is important especially if your business is operating across a range of states or countries that practice daylight savings or are on a range of time zones. To find out where your main audience is located you can jump on Google Analytics to get the relevant website data and customer insights you need to pinpoint the location of your audience & the time zone they are operating in. One of the most broadly used social media platforms on the planet, Facebook posting is all about understanding how your audience uses the platform and tracking the data you can access to find out when your audience is online. Studies have shown that the best time to post on Facebook is between 1pm and 4pm later in the week and throughout the weekend, with Saturday and Sunday between midday and 1pm and Thursday and Friday between 1pm to 4pm being prime time. Quick Sprout’s research found that early afternoon is prime time to post on Facebook and 1pm, in particular, will get you the most shares while 3pm will be the time on average that you get the most clicks from your audience. Interestingly research from Buddy Media’s “Strategies for Effective Wall Posts: A Timeline Analysis” showed that posts published on a Thursday and Friday received the highest amount of engagement compared to earlier in the work week and happy posts on a Friday spike engagement by around 10%. To get the info you need, check out Facebook Analytics or Fanpage Karma to analyse profiles and boost your customer conversion. Twitter is a difficult medium to get your head around when it comes to the posting schedule, the findings have shown that many users jump onto Twitter during downtime such as work breaks or when they are travelling to and from work. With this in mind, you might want to consider publishing your tweets during peak hour or times when users are most likely having a break such as lunchtime. Check out Twitter Analytics to get the audience data you need to make the call on the perfect time to post for your Twitter audience. The best time for publishing your tweet on Twitter would be Monday to Friday between midday and 3pm or 5pm during the commute home from work. As well as this, a tweet at around 3pm during a tea break in the afternoon is also a time when your audience is more likely to be online. Huffington Post’s research suggests if you’re a B2B your aim should be to post during the work week as you’re likely to get more engagement than on a weekend. If you are a B2C business you should be posting during the week and on a weekend as well. LinkedIn is a social media platform used by professionals, and it’s often read and scrolled through in the morning as part of a business person’s daily routine – much like reading the newspaper. Fast Company studies concluded that the highest engagement days are Tuesday, Wednesday and Thursday for LinkedIn, and the ideal times for posting are 7am to 8am, midday and between 5pm and 6pm. The focus should be to target LinkedIn users on their way to and from work and also during their lunch break. Exporting your analytical data from your LinkedIn page will help to ensure you have the latest and greatest information available at your fingertips to understand the prime time for your audience on LinkedIn. Pinterest users seem to be night owls and a great deal of activity seems to be carried out during the evening when they have the most free time to have a scroll and pin some posts. Research shows that prime time for posting on Pinterest is in the evenings between 8pm and 11pm, avoiding work hours where possible altogether. Dustin Stout’s research suggested that avoiding posting between 5pm and 7pm is key as people aren’t actively online immediately after leaving the office, and it’s better to publish posts once they are likely to be on the couch and chilling out in the evening. Get your audience data by logging on to Pinterest Analytics and getting all the info you need on when best to publish your posts to get the best results. Finally, the last social media medium we are exploring is Instagram. One social media app that seems to be an anywhere anytime style of social media platform is Instagram. Audiences appear to use the network basically anywhere and anytime they have a chance, checking their phones throughout the day when they have a moment to spare. Marketing Profs data shows that the ideal time to post on Instagram is between 8am and 9am as people are kicking off their workday, 1pm to 2pm during lunch breaks or after work hours once users have started to wrap up their day. Posting a video after 9pm and before 8am is shown to spike interactions so consider uploading a video to enhance your user engagement on your Instagram feed. A great analytics tool for Instagram is Icono Square. Rather than a collective time for all social media channels, the focus should be on finding out the analytics for each of your mediums and publishing posts based on each network rather than across the board. Whether you use Facebook, Twitter, LinkedIn, Pinterest or Instagram, the key is to use each platforms analytics tools to get the specific times, hours and days that your audience is mostly online to ensure you are publishing during each page’s prime time. I love your website. Pleasant colors & theme. Did you build thіs site yourself?